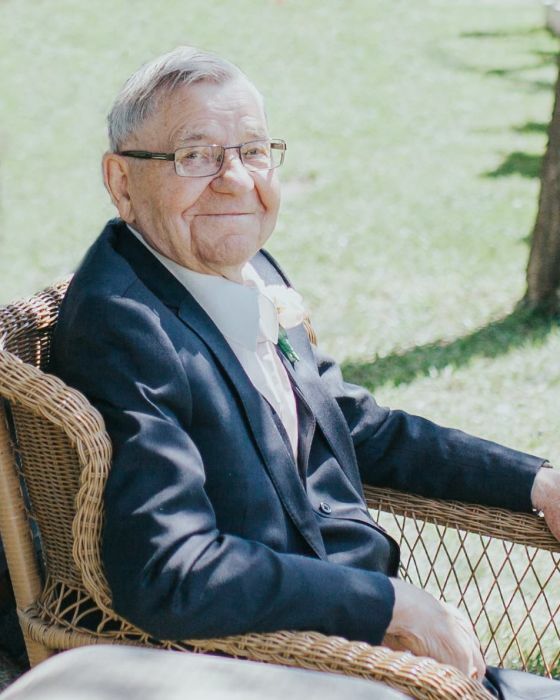 It is with great sadness the family announce the sudden passing of John Annas at the age of 87, at the Wetaskiwin Hospital. He is survived by his daughters, Geraldine (Barry) Johnson, Karen (Forrest) Wright, Shelley (Doug) Klinger; son, Douglas (Michelle) Annas; grandchildren, Heather, Michael (Samantha), Kyla (Jeff), Kristyn, Stuart (Shawna), Christopher (Nicole), Caitlyn (Zack); six great grandchildren; sister, Martha (Emerson) Robinson; brother, Charlie (Frenchy) Annas; as well as numerous nieces and nephews. He was predeceased by his wife, Edna; parents, John and Pauline Annas; and brothers, Rudy, Nelson and Gus. A Celebration of Life will be held at Grace Lutheran Church on April 6th, 2019 at 1:00 p.m. Interment of urn will follow at the Wetaskiwin Memorial Cemetery columbarium. In lieu of flowers, donations may be made to the Heart and Stroke Foundation.